How do I protect high-cost tequilas, vodkas, or other liquors with large or oddly-shaped caps? For many years, there was a glaring hole in the bottle security market. Alpha High Theft solutions came up with a resolution to this problem. It was at that time that Magna Guard was developed. This device is the only bottle cap security product in the market that is designed to accommodate extra-large bottle caps, necks, and caps with unusually shaped designs. This allows the liquor store merchant to protect products such as Patrón®, 1800®, Svedka® Vodkas, and other similar products with similar bottles. Magna Guard is a clear acrylic cap with minimal shelf clearance that slips easily over the bottle and locks in place. An ergonomic button on the cap enables an adjustable yet tight and secure fit for the various bottle sizes in the market. The clear acrylic top allows the merchant and the customer to see the labels and tax stamps on the bottle itself. Internal hinges make it extremely difficult to pry open the device. The Magna Guard has a clamshell design that makes it easy to apply and remove when using a patented Alpha S3 key. Magna Guard comes in one size and utilizes both RF and AM technology. This product is not only extremely durable, but it also is elegant. Because of this, the Magna Guard is the best option for your unique bottle security needs. Loss Prevention Systems, Inc. is considered one of the largest nationwide suppliers in the U.S. regarding Alpha High Theft Products and Checkpoint Systems. We now have nationwide customers, products, and service. LPSI provides much more than retail loss prevention products. The experience with retail loss prevention allows Loss Prevention Systems to supply real world training and alternatives. 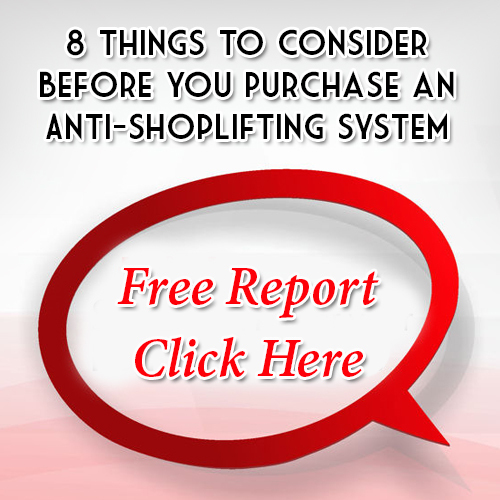 STOP retail loss today with Loss Prevention Systems (LPSI) and Checkpoint Systems products. For additional info on Alpha Bottle Security, go to our website at http://www.losspreventionsystems.com/contact-us, or give us a call at 1 (866) 914-2567.